Here we go again! 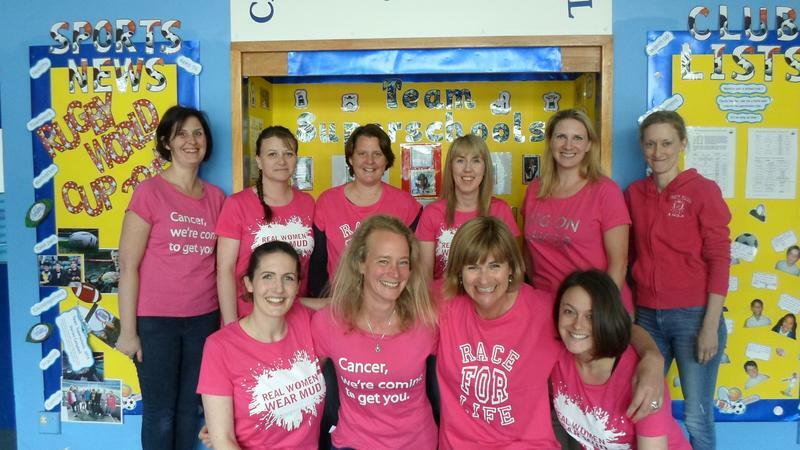 Yes, members of school staff are once again running through mud and over obstacles in an attempt to raise as much money as possible for Cancer Research. If you would like to donate, please follow the link or come into school where we have a sponsorship form. All donations are greatly received and there will be photos to follow. Good luck to all the staff: Mrs Gallagher, Mrs Draper, Mrs Frost, Mrs Blackwell, Mrs Barker, Mrs Rugman, Mrs Martin, Mrs Hickey, Mrs Murphy and Mrs Scovell.